I'm a patsy for children's books. I'm a firm believer that reading is fundamental to the development of a child's brain so I get excited when I'm introduced to new, fun books. Yahooty Who? is a hardcover book story that was released in December 2017. It was originally developed after ranking in the top 1% of ALL publishing projects on Kickstarter ever. Yahooty Who? characters teach children to think about and investigate the world around them. From the way he "borrows" one of your socks, to the creative sock puppets he leaves behind for children, Yahooty finds his way into the hearts of all who read his story. Yahooty Who? teaches kids to be selfless and helpful. As you read the story of Yahooty, children come to learn that Yahooty does all that he does as a selfless act to bring happiness to the world. It's a great lead into the valuable lesson of helpfulness, acceptance, and understanding. Yahooty Who? is a cute story with catching, whimsical illustrations. The ultimate message is positive, and kids get a grasp of what it is to be considerate. The book can be purchased alone or consumers can add to it by purchasing a Yahooty Who? Plush Doll, a Yahooty Who? Sock Puppet - “Fluff”, or a Yahooty Who? Sock Puppet - “Dot”. You can order the items individually on www.yahootywho.com, and the book is also available on Amazon. 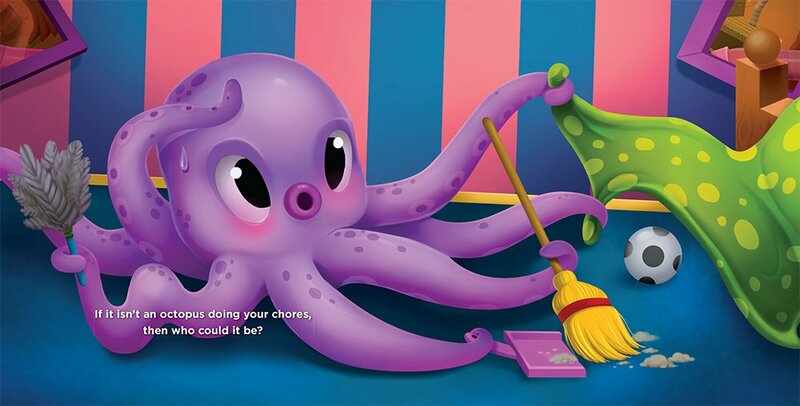 Any time we can teach our kids to be selfless and helpful while using their imagination through an interactive book, we have a better chance for long term results. 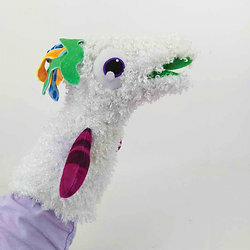 #YahootyWho doll and sock puppets fluff and dot are great ways to reinforce and expand on the ideas the book puts forth. I love this book. I love supporting educational books that teach kids strong character traits. It’s hard to find things to hold my 2 year olds attention but the bright colors alone were able to keep my little one focused during story time. I love the characters and all the things Yahooty can do. This book looks adorable & I love the positive messages in the story.